Does Medicare Cover Dental or Dentures? Home Medicare Does Medicare Cover Dental or Dentures? Unfortunately, most Medicare plans don’t cover dental needs. Original Medicare—Part A and Part B combined—isn’t a comprehensive health care plan, and neither parts cover the majority of dental care. The only time Part A and Part B may pay for select dental services is if you were to receive them when you’re in the hospital and facing an emergency. Even if Original Medicare covers a certain service or item, you may have to pay a deductible, coinsurance, and/or a copayment. While Medigap can help pay for some costs that Original Medicare doesn’t cover, including deductibles and copayments for a dentistry-related hospitalization, it won’t cover other dental needs. Generally speaking, beyond a complicated procedure or emergency, neither Original Medicare nor Medigap will cover your dental care needs. This includes basic services, like a semiannual cleaning, a filling, or a tooth extraction. If you want dental coverage, consider Medicare Part C. Known as Medicare Advantage, Part C provides Medicare Part A and Part B health coverage through the private insurance market, and some plans offer ancillary coverage, including dental. However, Medicare Advantage coverage varies from plan to plan. Before signing up, make sure to review the dentist network and the total amount a Medicare Advantage plan will pay towards your dental expenses each year. Answer: No, Medicare does not cover dentures. Depending on your situation, Medicare Part A could potentially cover a tooth extraction if it was required before an inpatient procedure—such as emergency jaw surgery. However, even if Medicare does cover this portion, it won’t cover the cost of the dentures you’d need after the surgery. Instead, you’ll either have to pay out of pocket or acquire a private insurance plan. Answer: No, Medicare doesn’t cover any dental care or procedures you receive to maintain your teeth’s health. However, Medicare may cover a service, including oral surgery, if your health is at risk without it or if it is part of another service that Medicare covers. For example, Medicare will cover the costs of surgery if you break your jaw or have oral cancer, a tumor, or another ailment. Medicare may also cover the removal of teeth if it’s part of another required surgery that is covered by Medicare, such as jaw reconstruction. However, even if Medicare covers the surgery, it won’t cover any follow-up dental care or oral surgery. Answer: No, Medicare doesn’t cover braces or orthodontic treatment, and neither do most health insurance plans when it comes to adult care. Unless braces or orthodontic treatments are deemed medically necessary, the related costs are also not tax deductible. However, as insurance rarely covers braces for adults, many orthodontists offer payment plans. Additionally, depending on your plan, you may be able to use funds from a flexible spending account, health savings account, health reimbursement account, or medical savings account to cover the costs. What dental options are available for Medicare beneficiaries? 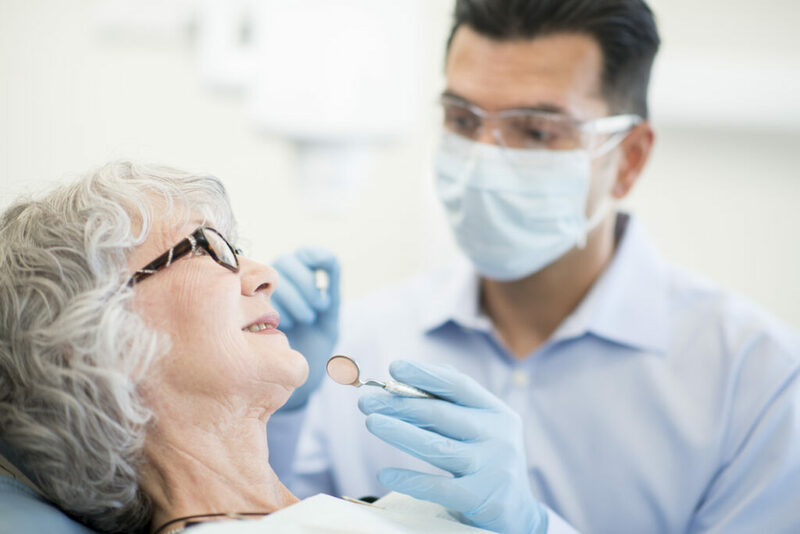 Whether you enjoy a semiannual cleaning or require procedures, dentures, or other supplies and devices, you’ll need to acquire coverage beyond Medicare Part A or Part B. One solution is to enroll in a Medicare Advantage plan with added dental coverage, or you can invest in dental coverage that is completely separate from Medicare. You can also visit free or reduced-cost dental clinics in your area, and you can ask your local hospital if they offer dental services with affordable prices or payment plans. If there’s a dental school nearby, ask what they charge for various services.